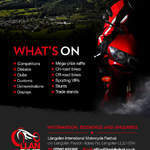 The Llangollen International Motorcycle Festival will be set amid some of Britain’s best biking roads - at the foot of the Horseshoe Pass and its famously bike-friendly Ponderosa Café, and on the edge of the Snowdonia National Park. Carl ‘Foggy’ Fogarty MBE, the most successful World Superbike (WSB) racer of all time, will be guest of honour on Saturday, August 1st. price: Adult - One day Pre-book: £10. OTG: £12. Two day Pre-book: £18. OTG: £22. Aged 12 and under - One day Pre-book: £3. OTG: £4. Two day Pre-book: £6. OTG: £8.Aged 60 and over - One day Pre-book: £9. OTG: £11. Two day Pre-book: £16. OTG: £20. Aged 3 and under: free. Saturday evening entertainment from 7.30pm - midnight. Pre-book: £5. OTG: £6. Classic & Vintage bikes on show in a big marquee and outside. Hundreds of bikes on show and club stands plus up to 100 bike jumblers. Licensed bar and food stalls. Class of 58 Rock & roll band will be playing during the afternoon. venue: Popham Airfield, Coxford Down, Winchester, Hampshire, SO21 3BD. Gates open at 10am price: Adults £7. OAP's £5. 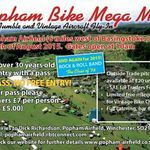 Bikes over 30 years old free entry, but only with a pass prior from Popham Airfield or email below. Three 3 bands, hog roast, best bike, best rat, plus lots more. Free camping included in ticket price, in aid of Rainbows Childrens Hospice, Notts & Lincs Air Ambulance and NABD. price: Pre-book: £10 by 14th August. OTG: £12. 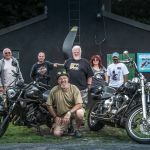 The Llangollen International Motorcycle Festival will be set amid some of Britain’s best biking roads - at the foot of the Horseshoe Pass and its famously bike-friendly Ponderosa Café, and on the edge of the Snowdonia National Park. On-site attractions will include displays, stunts, demonstrations, trade and club stands, plus beer, bands and evening entertainment. There will also be ride-outs from the site to explore some of the area’s most beautiful roads and scenery. Carl ‘Foggy’ Fogarty MBE, the most successful World Superbike (WSB) racer of all time, will be guest of honour on Saturday, 1st August. This annual shindig just got a bit more special... Celebrating 25 years of mayhem, same beautiful venue as last year. The usual fun and good company. Live music from 3pm. Good camping included (with toilet block), marquee, BBQ and pub grub, silly games, stalls, charity raffle and much more. venue: The George Inn, Shalmsford Street, Chartham, Canterbury, Kent, CT4 7RY. Gates open at 1pm. price: OTG: £5, includes camping. This is an outdoor event. Marquee, Burger bar, outdoor bar (real ale ) main venue open until 3am, disco, camping , glamping, hotel rooms and caravan hire is available - please call for availability. Security cameras on car parks. price: £20. This price includes free entry to the main venue. Now in its second year the ride out was a success last year when we raised £268 after our ride to Carsington Water. This year we will be meeting up at Hopwood park services @ 9am then we will leave at 10am to ride to the end location. This years end location will be Doms Biker Stop in Leominster. When we arrive at Doms there will be a live band playing and there will also be a range of charity stalls present. As well as a few other biker related products. There will be hot and cold food available also hot and cold drinks too. price: £3 includes a wristband to show each person has paid. The ride is Pre registration as limited for numbers. The ride is a £3 per person and includes a wristband to show - all money goes to the chosen charity. A ride to remember two of our local lads tragically killed at Hunlocke Arms ( now the Wingerworth ) and all fallen riders. raising funds for Derbyshire, Rutland and Leicestershire air ambulance. Some great raffle prizes. price: £5 text sbmr49 to 70070 or on the day donation. The 5th VJMC South Cheshire 'Bhurtpore' Show. Huge exhibition and show of 'on the road' classic bikes. 13 trophies up for grabs, big multi prize charity raffle, trade stands, autojumble, snack bar, full pub restaurant (curries a speciality), over 250 beers in stock! Awesome country pub with a stunning outlook. price: Entry to the show is completely free, as is entry into the 'Concours d'elegance' show. Camping on the Saturday evening is also free (no camping allowed on Sunday night). Charity motorcycle ride-out and live music event with all proceeds going to two children's charities. A circular ride-out followed by a BBQ and two live bands. We will finish with a BBQ and a live Rolling Stones tribute band "The Phoney Stones" and their supporting act (60's and 70's covers) back on top of Portsdown Hill overlooking Portsmouth and the solent. It will be about three hours of riding plus any stops you wish. This is for all riders of all ages and on any motorcycle or scooter from a Harley to Vespa and a Classic to the newest machine and is also 125cc friendly. 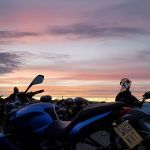 venue: Leaving from The Churchillian, Portsdown Hill Road, Portsmouth, Hampshire, PO6 3LS and completing a circular tour on some of Hampshire and West Sussex's best riding roads. price: £12 bike and rider. 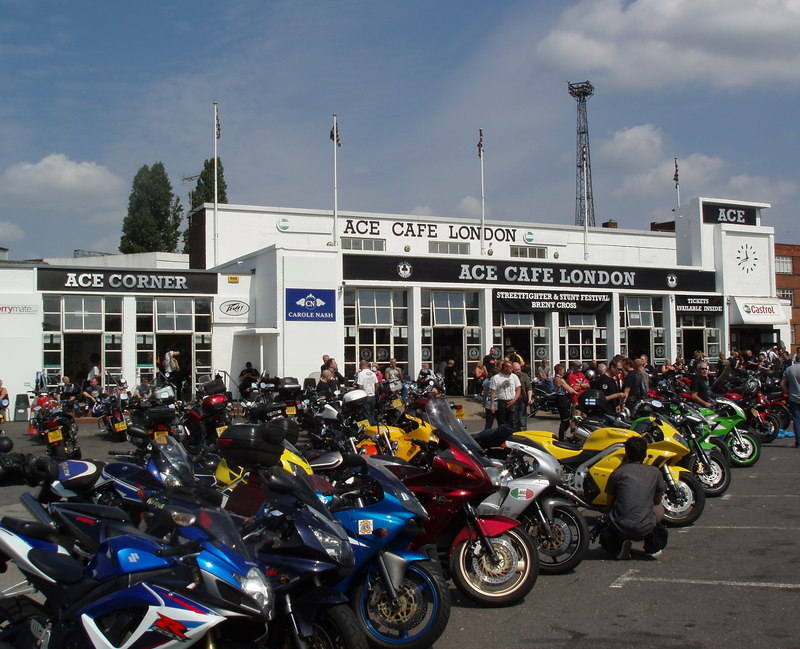 £8 pillion for Ride-out, BBQ & Live Bands. £8 per person - Non riders for BBQ & Live Bands. £5 per bike - rider & pillion for Ride-Out only. (No BBQ or Live Bands). £5 per person - Non riders for Live Bands only. Partying for more than 30 years, the original, green field Rally. Situated on the Lizard Cornwall, "the most southerly point in the country" with a relaxed and chilled atmosphere from a bygone age. Real local Ale and Cider, Good food, Live Bands, Bon Fire and Toilets. 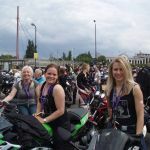 All Bikers welcome whatever you ride, Note - Large groups or clubs must contact us prior to the event start date, due to the limited space available. price: Pre-book: £12.50, by 6th July. OTG: £15. One night Ticket price £10. Note - Cars, by prior arrangement only. 2 day spectacular of bikes and bands. Bike show with cash prizes and trophies, trade stalls, 13 live bands. Camping free. On-site bar and food. Gates open Friday morning. Bands start 17:00. See website for more info as and when released. Rock DJ all weekend and live rock covers bands on both nights. Real ale and bar provided by the Nook Brewery. Stalls, toilets and food vans. Stunning rides and views in the heart of Summer Wine Country. price: Pre-book: £10, by 31st July. OTG: £12. Free rally badge to first 100 pre book. £5 on the gate after 1600 hours on the Saturday, Limited space for Campers and Cars same price ring to confirm. 16 Years, where has the time gone! Usual tradional small rally stuff, chilled relaxed atmosphere, excellent location with sunrise and sunset views. Silly games, ride out, disco, live music, charity raffle, excellent site, proper loos, decent food, trade stalls, local pub, store and village a short walk away. Rally patches and T-shirts will be available to purchase from The Fat Maggot stall. venue: Hollowell rally site, Hollowell, Northamptonshire, NN6 8NU. No fires, no dogs. price: Pre-book: £15. OTG: £20. Under 16 years old free. Cars, vans, etc £5, pre book only and limited. This outstanding popular rally goes from strength to strength, so book early to avoid disappointment. Charity draw in aid of The East Anglian Air Ambulance. By popular demand D & L Disco. Black Rose Society. 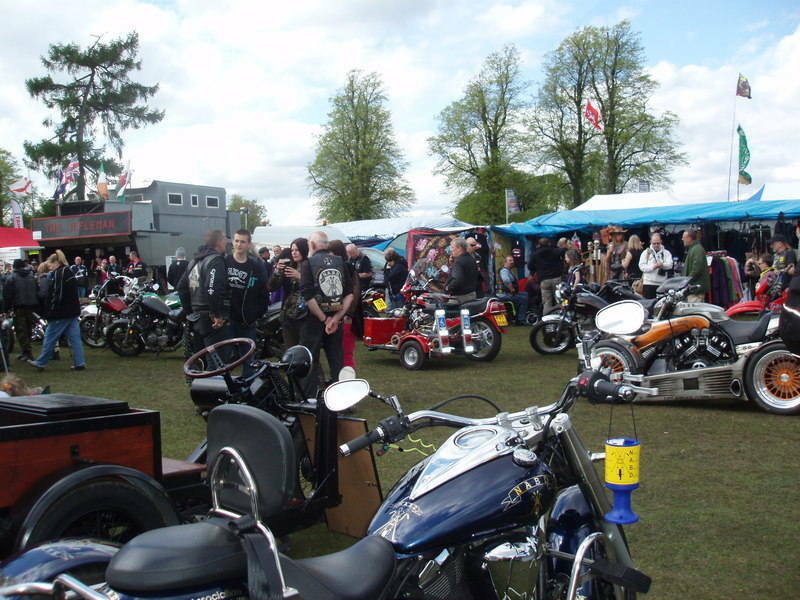 Custom & Classic Bike & Trike Show with top class trophies. Stalls, Charity raffle, Silly games, 2 bars, real ale, Good food. Fancy dress Saturday night: Gangsters & Molls. Shower facilities, disabled access, flat level camping. No ground BBQs or fires. Back patch by prior arrangement please. price: Pre-book: £13 by 24th July. OTG: £15. Children under 16 go free. Cars free by prior arrangement. Rally patch £5. 150 limit. Camping available Friday & Saturday night. Run out & Live bands. Annually the Peterborough branch of the Triumph Owners Club organise a free entry Bike Show / Meet. Held in Stilton, Cambridgeshire. Last year we had close to 400 Motorcycles. It does not matter one jot what you ride. From 50cc to 2300cc, all are welcome! This year we have live music a DJ and many bike related stalls. This year our friends from the Joey Dunlop foundation, MAG and other local bike clubs will be on the field, and several trade stands where you can purchase bike kit and clothing. How come it’s free? We have a barmy army of volunteers who all help get ensure the day is a tremendous success. We offset the cost of the bands and DJ’s by having a coffee / Tea bar and sell cakes and bites that ensure you are not left hungry whilst chilling in the field. Once the costs have been taken out we donate a significant percentage to a worthy cause. Last year we donated over £500 to Heli-medix – Air Ambulance. Something that’s close to every bikers heart. venue: The Talbot Inn, Stilton HIgh Street, Stilton, Cambridgeshire. The fun starts at 11am. Zenith Motorcycles & Red Army Riding Club host a charity BBQ in aid of SERV Herts & Beds. Live stompin' blues from Peter Von Toy, raffle, pinata, tasty meat and beer! Bike categories, Custom, Street Fighter, Classic, Trike, Bike and Sidecars, Awards for 1st and 2nd in class. Bar, Cafe, Food. Music to be announced. Club stands welcome, retailers welcome, pitch price on request. All proceeds to Air Ambulance. price: Entry fee £5. Bike show: £7.50 per entry by 1st July. Car parking available. Rally opens 12 noon Thursday 13th, bar open from then. Simons food stall, plus hog roast, two late bars, two discos, trade stalls, plus return of the wild west show. Bands TBA. A flat disabled friendly site with full disabled access to both rooms. Showers available at Leisure center next door, where there is also a kidies play area. price: Pre-book: £10. OTG: £13. Accompanied children under 16 free. Cars, campervans: £5. Blue badge holders free parking. Day tickets available. venue: Porcaro, Morbihan, Brittany, 56380, France. Free camping, showers, Late Bars, Bands & DJ both nights, Friday-Marauder, Saturday - Massive Wagons, Fancy Dress, fantastic raffle prizes, Tattooist, Butty-van, Well behaved children welcome. Gates open at 12.00 noon on Friday. Caravans & Trailers by arrangement,£10.00 each, Limited numbers. Children under 15 free. price: Pre-book £12, before 31st July. OTG: £15. Free rally badge for first 100 bookings. Day tickets available at £7.50. Vosa Rejects in aid of Air Ambulance and Cancer Research. Bands inc Dead Sense, Nameless & Suicide Blonde. venue: Breighton Ferry, Breighton, Selby, North Yorkshire, YO8 6DH. price: £14 per person. Limited to 500. No cars or caravans unless disabled blue badge holders and pre-booked. This year we celebrate the 10th Anniversary of the event with the best riders from USA, Australia, Europe and Great Britain competing for the Worlds first 200mph+ kilometre wheelie. The current record stands at 199.4mph,in addition the Worlds fastest woman will be hoping to improve on her world record of 264mph! As usual there will be a a beer tent, entertainment on-site catering, toilet facilities and camping opens at 6pm on the Friday night if you wish to make a weekend of it. Come along and watch records get smashed . price: £12.50. Kids go free. Camping over weekend £30. Held at a picturesque lakeside venue. One of the most popular regional shows, the long-established Maxey event is sure to attract a large entry of gleaming two- and four-wheelers. It’s also a great day out for all of the family - with live music, a real-ale bar, BBQ and children’s amusements. Organised by the Maxey Charity Club and makes over £1500 each year for local good causes. The club has been running fund-raising events since 1998. The show opens at 11am, with judging taking place between 12.30 pm and 3.00 pm. As usual, the organisers have recruited several national motoring journalists to help with the difficult job of picking the winners. venue: Quarry Lane, Maxey, Cambs - one mile off the A15, south of Market Deeping, Caimbridgeshire. price: Admission £4, with free entry for exhibitors and children under 14.
price: Adults £7. OAP's £5. Bikes over 30 years old free entry, but only with a pass prior from Popham Airfield or email below. price: Pre-book: £ weekend by th August. OTG: £. Price includes three days of camping on the main field. Kids 12 and under are free but must be accompanied by an adult and supervised (or chained up) at all times. Space is at a premium and was sold out last year so book early. 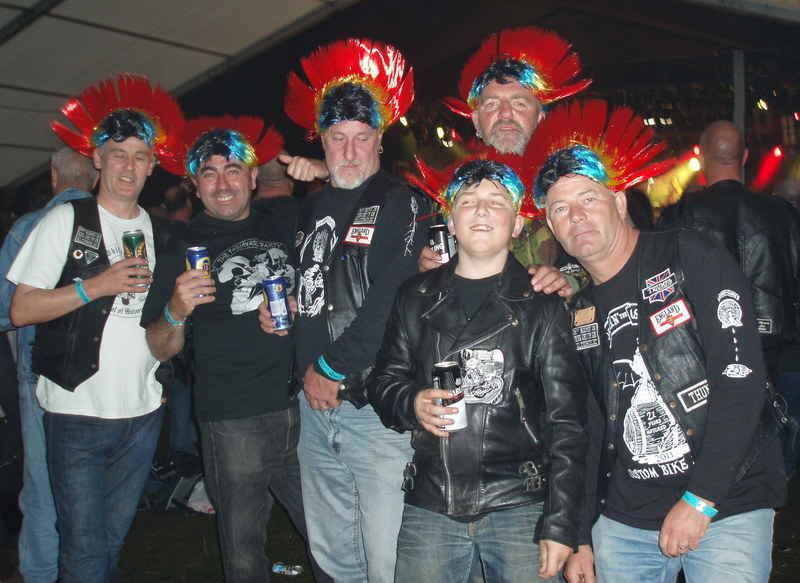 The Renegade MC proudly present, The Redskin Rally, cold beer, hot food available all weekend, top live music, rock disco, custom bike show, silly games including the annual tug of war battle, trade stalls, raffle, free camping, clean toilets. More details to follow. price: Pre-book: £12.50. OTG: £15. Kids £5.00 under 16. Car parking £5. Live bands playing Friday and Saturday. Bike show on Saturday. Funfair rides, trade stands and much more, 24/7 toilets and showers free camping. Patches available at £5 each. Money raised goes to ssafa. price: Pre-book: £5. OTG: £6.50. 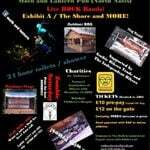 Price includes camping and entry to the bike show. Bikes, trikes, scooters, custom cars and trucks all welcome. Trade stands, food and beer. Bands to be confirmed. Patch available to buy + sewing lady on site :-) Tattoo artist on site. Oh was beer mentioned? price: Pre-book: £10 includes of 1st beer until 7th August. OTG: £12 - sorry but no free beer. (No increase again this year) Day Ticket £5. Children under 14 years free entry. No extra charge for campers, caravans or cars. Free entry for exhibitor. A Celebration of Vintage, Classic and Custom Motorcycle culture. In Aid of The British Motorcycle Charitable Trust (BMCT). Bike Show Best Classes include: British Classic Modern 1989 - 2014, Classic British 1965 - 1989, Vintage 1936-1964, Restoration, Japanese Classic, European Classic, Cafe Racer, Brat, Bobber, American, Best in Show and Locals Choice Best in Show. Camping from Thursday night if required. Music Friday and Bands Saturday. Bar open all weekend or as long as someone wants serving! This is a proper old skool rally, ride, drink and have fun. venue: Vagevuur, Vlezenbeeklaan 91, 1600 Sint-Pieters-Leeuw, near Brussels, Belgium. Follow signs MC Phantoms. price: €5, includes weekend camping plus first drink. A fantastic and eclectic mix of bikes, trikes, car and trucks from all decades. Not to mention the Show and Shine competitions, vehicle club stands, trade stands, displays, children's activities, refreshments, car boot and auto-jumble. Why not come along and enjoy a great day out for all the family! venue: Former RAF Coltishall, Lamas Road, Badersfield, Norfolk, NR10 5JR. 10am to 4pm. price: Pre-book: £8pp before 21st August, children under 12 are free. OTG: £10pp, children under 12 are free. VIP Show and Shine competition is £30, with a £250 cash prize and trophies. Parking for 1000 bikes on site and more around town. 5 live bands, various food stalls and entertainment for adults and kids of all ages!!! Representation from Honda, Kawasaki, Yamaha, Suzuki, BMW and MV Agusta as well as Scorpion exhausts and many more. Sponsored by 5-Ways Motorcycle Centre, Hull and Pro-Bike Rider Training. price: The event is free, but charity donations are being requested for Yorkshire Air Ambulance, Hornsea Inshore Rescue, Riders for Health & Care of Police Survivors. Dedicated bike parking is £1 and there will be side stand plates available as well as kit storage. Bikes... beer ... BBQ.. bucking bronco... cash prize for the best rider in town. Raising money for the Harmony Trust. price: £2. Under 5's free. Price includes free raffle ticket. 12 am Marquee, Custom Show, live bands in marquee, beer, late bar, Rock DJ Russ, silly games, Rally Virgin, fancy dress, Bands include 13th Floor and Glamatize and others TBC. Food, stalls, long distance F/M trophies. Familes welcome. Cheap cheap bar. Home cooked food. Tattooist on site. Beautiful surroundings of Orkney. price: Pre-book: £15 by 10th August 2015. OTG: £20. Includes wristband for entry for the weekend, minimum of two live bands. One free nip of Whisky per person and free rally badges (First come first served if not pre-booked). price: Pre-book only: £25. Via the website or by cheque. Cars are by prior arrangement only, even blue badge holders. No Car pass = No car = No excemptions. Ride out on Saturday all day. Sunday ride out to the National Motorcycle Museum. Monday lazy day. Camping available, also local hotels and b&bs. Food available for breakfast and evening meals. 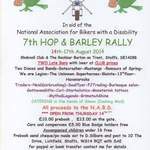 Fraternity of UK Trikers (FUKT) are holding their 3rd Annual Rally in Wrexham on August Bank Holday weekend 2015. Around 100 trikes are expected to attend. Bikes, Cars are welcome too. Bands booked included Pure/DC, Rubicon Hell Yeah and The Edge. Rock Disco in support. Trike and Bike Show with Trophies in all categories. Ride out, Fun and Games and BBQ. Exclusive use of the clubhouse with hot showers, Bars, 24hr security, Disabled friendly. Gate Limit of 300.
price: Pre-book: £15.00 by 19th July. OTG: £20. Subject to maximum of 300 not being achieved on pre-sold tickets.Day tickets for Saturday £5, Day ticket for Sunday £5, overnight ticket for Saturday with camping £10. Bands on Fri/Sat/Sun night and dj. Excellent camping, trade stands, great food and beer. 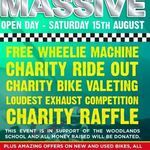 Bike show and charity ride on Sunday. Live music, good food, Custom bike show, raffle and more... In aid of Ambiwlans Awyr Cymru - Air Ambulance Wales. Organized by Valley Commandos Motorcycle Club. price: Free admission. 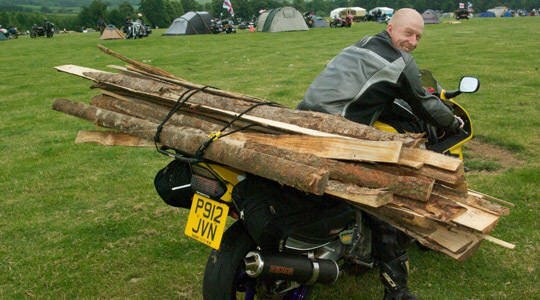 Camping @ £5 per bike. This is an outdoor event. Rock legends Big Country are coming to The Vic! Marquee, Burger van , outdoor bar (real ale ) main venue open until 3am, disco, camping , glamping, hotel rooms and caravan hire is available - please call for availability. Security cameras on car parks. Stall pitches available. 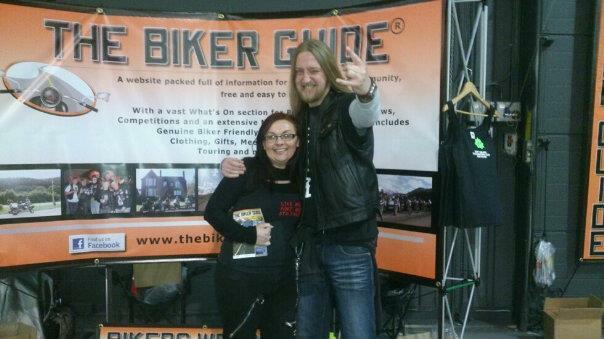 15th Annual Stockport Bike Show. Bike show, live bands, trade stalls, face painting, bouncy castle, Rodeo Bull, tombola, raffle, Roughleys Bar and more… All welcome, including bikes, trikes and scooters. Fundraising for NABD, Rainbow Family Trust and The Together trust. 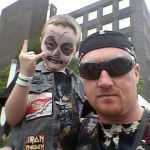 A Family Fun Day and motorcycle rideout, organised by the Honda Blackbird Club. The Fun Day will kick-off at 2pm with the TrialStar motorcycle stunt team, bouncy castles, face painting, clowns, BBQ, BikeSafe, Charles Hurst road show, live music and other attractions. The event will finish with a spectacular seaborne firework display. Custom / Classic bike and car show. Autojumble, Bill Haley tribute, stalls, trophies, food and bar, swap meet. Gates open 10am.